Almost 20 clubs have taken advantage of the Visioning effort during the past three years. In fact, one club has decided to go through the Visioning process for the second time. What is Visioning? It is a process aimed at helping clubs achieve long-term goals based on a consensus of their membership consistent with their resources and abilities and continuous over a three-year period. A representative group of members meets for a few hours with a Visioning team and explores through active participation a range of options in the many areas of Rotary: membership, foundation, community service, international service, youth programs, and fundraisers. It is an exciting process that gets everyone involved and the results are amazing. If your club has not participated in this process, it would really be missing a great opportunity to improve itself. We recently concluded a series of Membership Workshops attended by more than 70 members. They were conducted on a regional basis in four different areas of our district, for member convenience. The feedback from participants was excellent. The district is considering scheduling another series of workshops early next spring spring. he format will be similar but also with a total new twist. We will still have the table discussions led by a facilitator, but these sessions will also be very action-plan oriented. If you are serious about improving the membership situation in your clubs, you should plan on attending the next set of Membership Workshops. We spend much time thinking about increasing our membership and attracting new members. But that is only half the required effort. The other half is in retaining current and future members. The Rotary Leadership Institute is an outstanding resource aimed at just that objective – educating, engaging and retaining Rotarians. Rotary is a vast, worldwide organization with initiatives in every aspect of human endeavor. It would take a lifetime to learn all there is to know about Rotary. One of the ways to learn more about Rotary is to attend RLI educational classes. There are three levels of training – I, II and III. All of the classes are taught by senior-level Rotarians and are based on a facilitation method – i.e., audience participation. The curricula are changed every three years. If you have attended several years ago, you may want to consider attending again. There is also a graduate-level course for those who have completed the first three levels - and that curriculum is changed every year. RLI programs are held a few times a year in several area locations. The cost for the one-day programs is moderate and clubs are urged to pick up the cost. The amazing thing about RLI is that those who attend are found to have a very high Rotary retention rate. How many members of your club have attended? What is your retention rate? Do you see a connection? Tom Sturiale, chair of District 7910's Visioning Committee and vice chair of its Membership Committee, may be reached at tsturiale36@gmail.com. To learn about the October 2016 Membership Workshops, click here. 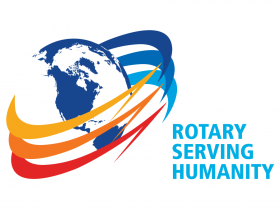 September 19: What are our Rotary objectives? Membership! Membership! Membership! To read previous articles for Rotary 2016-2017, click here. "A Rotary Membership Guide" is a collection of "Membership Corner" articles written for this weekly newsletter during the 2015-2016 Rotary year, which began last July 1. It is intended to offer an idea or thought each week aimed at stimulating discussions, questions and actions to effectively increase membership at all our clubs. Click here, to download this 52-page "Guide," in Word format.